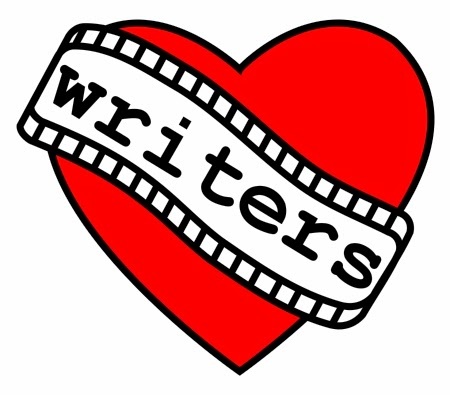 Soldiers make the best romance heroes for their unselfish desire to protect, their undying loyalty to their country, and their firm bodies that can squeeze a lover ever so tightly. Some of the best soldiers in US history are from Puerto Rico. Did you know that Puerto Ricans have been fighting on behalf of this country since the American Revolution? Puerto Rico did not become a US Territory until 1898 with the end of the Spanish American War, and did not organize an infantry until 1901. But for the past century, Puerto Ricans have fought bravely for a land that still treats them as second class, and that often forgets that YES, Virginia, Puerto Ricans are US citizens. 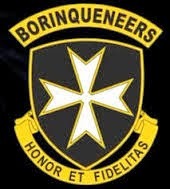 In 1950, the 65th Infantry Regiment gave themselves the nickname of the Borinqueneers in honor of the island’s Taino name, Borinquen. These brave men have distinguished themselves throughout WWI, WWII, the Korean War, Iraq and now Afghanistan. This year, the National Puerto Rican Day Parade was dedicated to them. 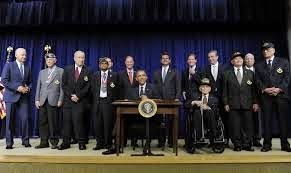 To date, the Borinqueneers have earned 10 Distinguished Service Crosses, 250 Silver Stars, 600 Bronze Stars, 3,000 Purple Hearts, and finally, on June 10, President Obama awarded them Congressional Gold Medals. A handful of the original soldiers were there to accept. It is this dedication to country and duty; it is their honor and bravery that make soldiers such good romance heroes whether they hail from Puerto Rico, New York, Texas, et al. June 10, 2014-- Original Borinqueneers look on as President Obama awards them Congressional Gold Medals.